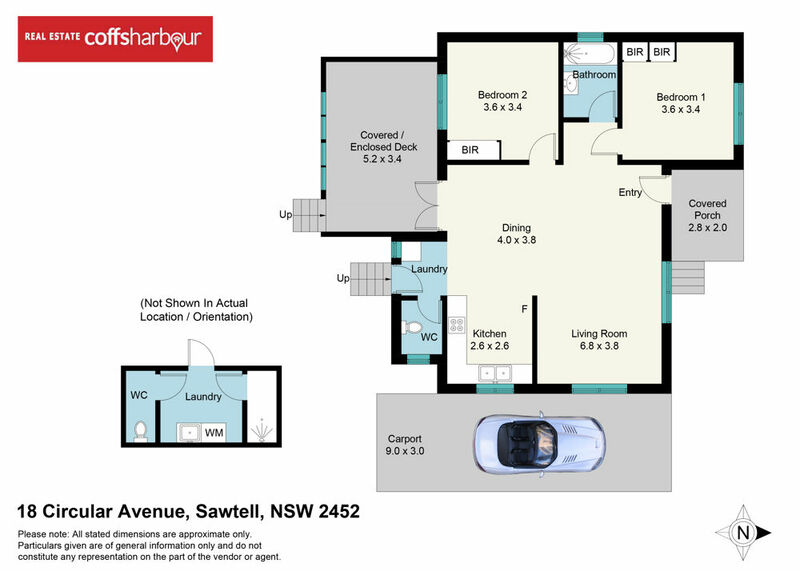 A home that represents the quintessential Sawtell lifestyle. This character-filled two-bedroom cottage offers everything buyers love about this seaside village; a single level floor plan with a perfect flow of indoor-outdoor living all within easy walking distance to the vibrant First Avenue shops and beaches. Circular Avenue is a quiet location with mainly only residents using the street. Families enjoy the peaceful neighbourhood and there is a mix of new homes, renovated homes and existing cottages making up the streetscape. From the moment you enter, the home presents a warm, relaxed feeling with plenty of natural light, high ceilings and beautiful hardwood floors. Features include Colonial French doors that lead you from the dining room to a covered outdoor deck and then into a tidy backyard with plenty of room for the family to enjoy or room for extensions should you choose. The bathroom has been upgraded and there is a reverse cycle air conditioner in the living room. Easy living in the current format or renovate to your taste or extend to suit your needs.